Today I am bringing you all a fresh Italian twist on a bacon classic- the BLT. We still have the tomato and bacon, but we are adding some fresh basil, a little tuna, and some fresh mozzarella to the mix. Seriously, all. 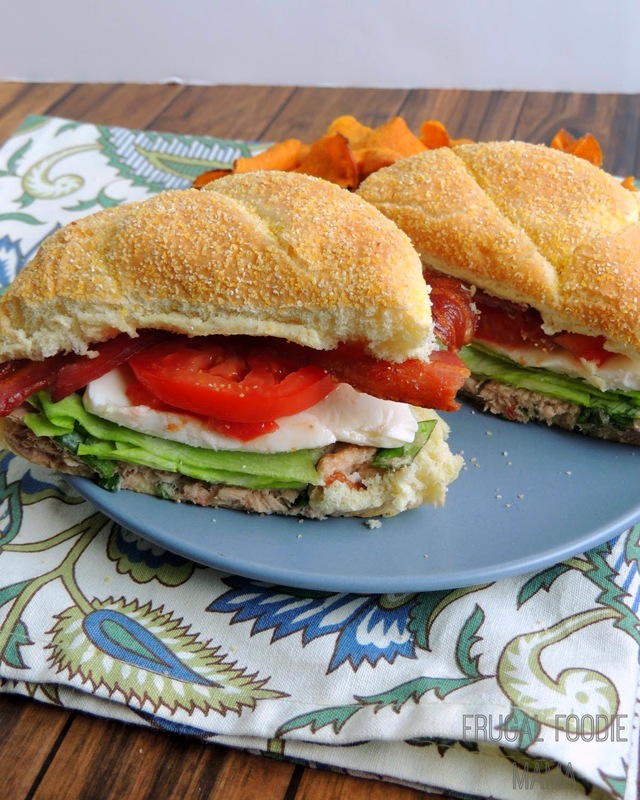 This Caprese Tuna BLT was just made for a summertime lunch on the patio. The flavors and textures of the Caprese tuna salad combined with the creamy mozzarella and salty and crisp bacon? Sandwich perfection. 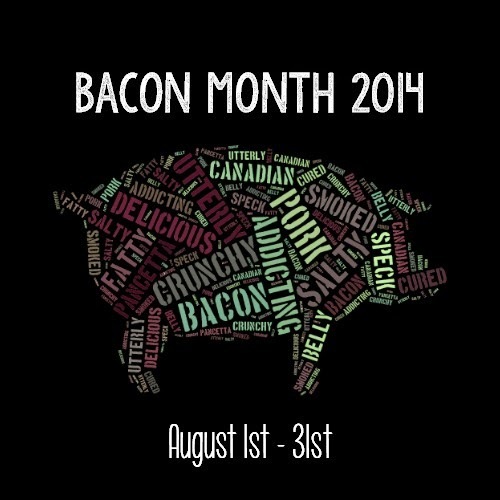 Cook your bacon using your preferred method. 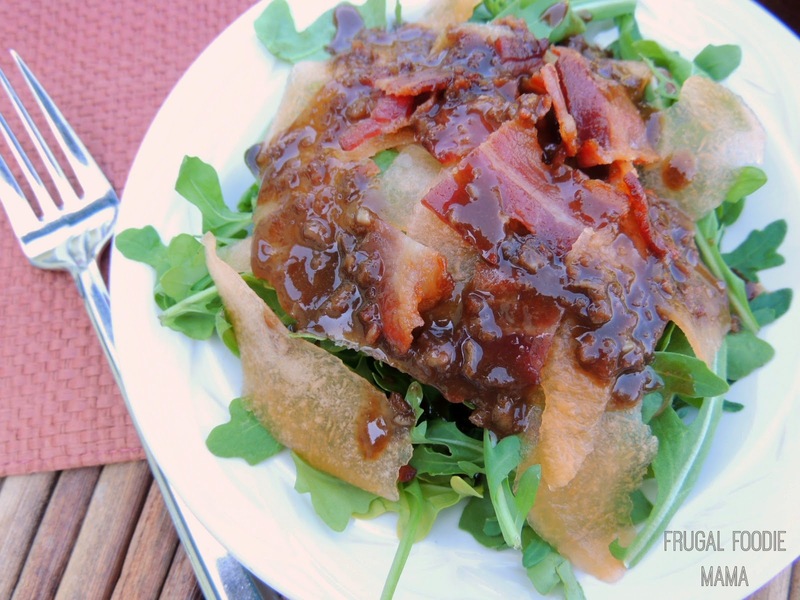 I prefer to bake mine- CLICK HERE for my how-to on How to Bake Perfectly Crisp Bacon. In a small mixing bowl, combine the tuna, basil, olive oil, red wine vinegar, & kosher salt. Mix well. Top two bread slices or sandwich buns evenly with the tuna salad mixture. Then top the tuna salad on each sandwich with tomato slices, 2 slices of fresh mozzarella each, and 3 slices of bacon each. Place the top piece of bread or bun on top of each sandwich. Feel free to whip up the tuna salad the night before and keep it in the fridge until you are ready to serve it the next day. 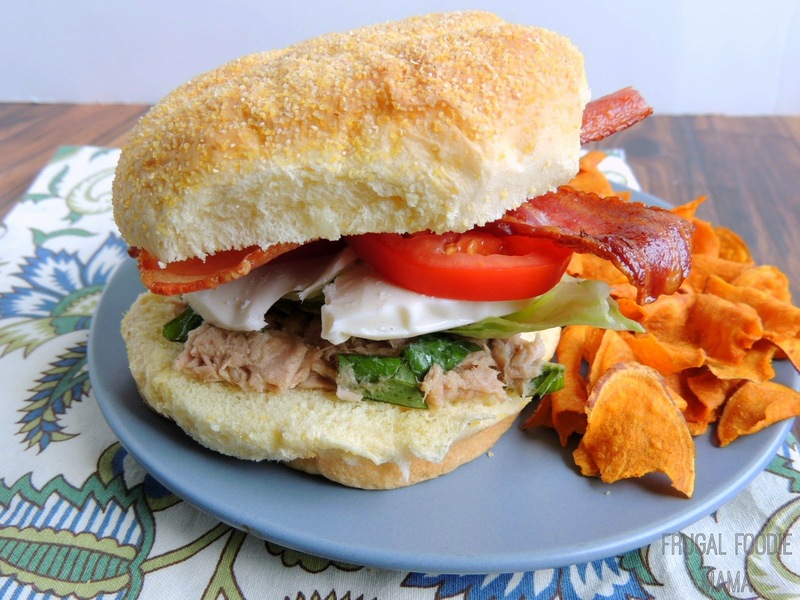 But if you are going to make the tuna salad for this sandwich ahead of time, I would suggest adding in the chopped fresh basil right before serving to keep it pretty and green. 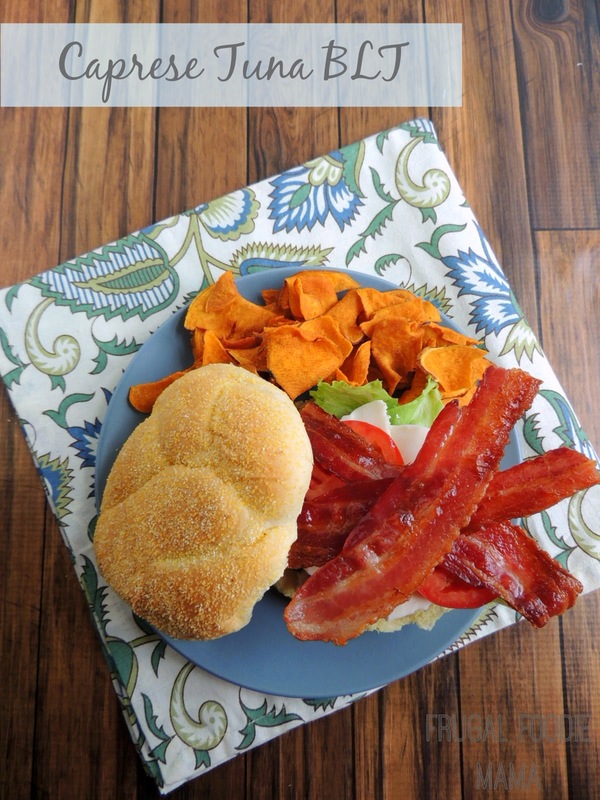 Do you have a creative and tasty twist on a classic BLT that you like to make instead of the original?